It’s time to look at an old FIFA game. I would say a “modern” one but at this point 2014 feels like a long time ago. I don’t have a lot of experience with FIFA, but I’m a little better at it than I am at MLB. At the very least I keep the games close. It’s definitely a fun title, but certainly one that you will enjoy a whole lot more if you are actually good at it. Knowing how to make the plays that you want to achieve simply makes for a world of difference here. There are a bunch of different modes. I imagine that you will spend most of your time in Franchise mode ordinarily. After all, that’s where you get to really learn and grow with your team. If you can’t get the hang of the controls for a while you’ll start out with some bad records, but eventually you’ll be able to completely flip that. I don’t really have enough time to do all of that, but it’s always a great mode for any sport. Beyond that you can also run drills, practice, Go online and play, or a bunch of other options. There is no shortage of modes and content here. As for the gameplay, it seems pretty good. it’s definitely one of those games where it’ll take a while to actually master the controls. There’s a lot to them and you can’t really skate by on just doing the easy controls. You’ll really need to apply yourself here. For example, I played a few games, but couldn’t score a single goal. I just can’t get close enough to take a realistic shot, it’s crazy. On the other side though, I didn’t allow any goals to be scored in most of the games. (They did score on me once) So…either the goal keeper is just OP here or I need more training. I imagine that it’s the latter because otherwise the FIFA games wouldn’t be nearly as big as they are now. I felt more confident than in Baseball since I’m at least not getting blown out, but at the same time you can’t win without scoring right? The graphics are certainly solid as always. EA doesn’t hold back in that area. As always in the sport games the music isn’t all that memorable, but it seems to be pretty fast and fitting for the sport. On a technical level the game is quite good and the gameplay is solid as well so I have no real complaints. The only thing really hurting the score is the fact that the game won’t be incredibly fun until you get good at it and you also have to love the sport. If you think about it, technically you’re going to be going through the same motions in every match. That’s true for many games of course, but it does emphasize how much you need to like the gameplay in order to go through with it. Otherwise it would just become a chore by the end and you don’t want that. To date the best Soccer game has definitely been Mario Strikers. It took a more arcade style look at the sport with simplified controls but still hitting all of the right mechanics. It’s a game that holds up well today and I think FIFA could learn a thing or two from it. FIFA is of course going for a Soccer Simulation style as it’s very realistic but I think it could loosen up on the mechanics a bit. Make the ball go in more precise locations instead of just anywhere and that would help with the shooting. Of course, this is something that would help casual FIFA players like me while professional gamers would likely not like having their experience go to waste so it’s definitely a mixed proposal. I’ll definitely still be buying the next FIFA games once the price is reasonable so it doesn’t make much of a difference to me, but I do think it would be a way for the series to get to the next step. Currently from the big EA titles I’d rank them as Madden>NBA>FIFA>NHL>MLB>PGA. If we threw Tennis in there then it would be third after NBA. In general those are the 3 games that are way above the others. Starting with FIFA they just aren’t as interesting. Put it this way, Madden is a 9 star series and NBA/Tennis are 8 stars. FIFA is a 7 and the others range from 6 to 3. There’s probably a strong correlation to how I enjoy the real life sports too I suppose. Overall, FIFA 14 definitely continues the series off well. I look forward to playing some of the other FIFA games I have in the backlog but haven’t played yet. They’ll all be older, but that doesn’t mean that they can’t be even better. The more I play them the better I should get so that could help plus sometimes the older games had simpler controls which is also important to notice. It’s the opposite of fighting games where they’ve gotten a little simpler over the years. (Although in some cases that’s been a good thing like with Super Smash and Street Fighter) Whether you’ve played a previous FIFA game or not you should be able to jump in pretty quick here as long as you know how the sport works. Actually winning a game is a completely different discussion though. For that you’re gonna need to practice your shooting for quite a while and that’s no easy feat. It’s time to look at the next Need For Speed game! One impressive thing about the franchise has always been how long each game is. This is another title that will potentially have you busy for 20+ hours and that’s no small feat. EA really put a lot of heart into this series back in the day so I’m curious if that will continue to be the case as I get close to the end of the game series. Most Wanted brings back all of the good elements from Underground 2 while improving on them. It’s the definitive NFS game so far. The game starts with you heading into town for some good races. You find the top dog and challenge him to a race. Unfortunately he cheats and steals your car. You now have to rise back up to the top from the bottom with a random car. The problem is that your old car was the best in the world. Defeating that is going to be very difficult. There is one lady in your corner who defends you from the blacklist, but ultimately you’ll have to take down all of the racers if you want your dignity back. Are you ready to challenge these guys or is it curtains for you? At its core the main gameplay of Most Wanted is naturally racing. You have to beat the other cars to the goal. If we go more in depth, the game has a consistent flow chart of how things work out. To challenge a member of the blacklist (There are 10 people on the blacklist) you have to meet certain criteria. This includes: Complete 6 races, 5 Milestones, and achieve a certain amount of bounty. The races are self explanatory, but there are various types like Drag, Circuit, Sprint, Speed Trap, Lap Knockout, and a Time Attack. They all have differing rules but as long as you drive carefully and quickly you’ll be okay. I personally like Sprint and Speed Trap the most. Just boost at the right times and you’ll be set. Milestones involve escaping the police and doing some time trials. These start out easy but by the end of the game they are quite difficult. For example, one milestone is to run from the cops for 13 minutes without being caught. You can definitely imagine that this is not very easy. If your car tips over then it’s likely over. There’s also the spike traps that are left out which serve as one hit KO attacks against your car. If you’re hit then it’s all over. The bounty also naturally goes up by destroying cop cars or surviving for a while. Once you’ve taken down 1 or 2 members of the blacklist you’ll be able to see how the game goes from there. While there aren’t many cutscenes here there are still a few more than in the last game. I imagine that the number should keep going up as you go through the series. The cop takedown videos are pretty fun when you lose although it would be nice if they were skippable. By the end you’ll have seen them many times so they aren’t quite as hype by then. The graphics are definitely pretty nice. The fact that this game finally takes place in the daytime is cool as it makes for a great contrast during the gameplay. It’s like you’re finally back in a real city. The soundtrack is pretty similar to the last one. At least you are given the option to disable songs you don’t like which is very handy. That is already a pretty big game changer if you ask me. The soundtrack isn’t amazing, but the tempo of the songs certainly fit the races. There’s a good amount of replay value here. Even after you have beaten the game there are a bunch of races to play. Perhaps not as much as you may think, but certainly enough. You can also just have fun running from the cops for hours. It’s an aspect of the game that won’t get old. Then you’ve also got Challenge Mode which has over 50 things to tackle there. The final challenge is sort of like the final mission in the game as the cops have everyone after you. Don’t think it’ll be easy to evade those guys. This time they’re playing for keeps. One interesting thing is that you can max out your car before the final two members of the Blacklist show up. You will literally have a car that has all its stat figures maxed out. That means that the final two cars aren’t even worth equipping as they are actually slower than yours. It’s an interesting decision and it was almost a bit odd. Still, I guess it shows that you just have to keep your driving at a high level because at the end they’ll all be matching you. I do recommend trying for the pink slips when you beat the rivals on the blacklist since getting a car is worth the odds. Also, one thing I liked about the final blacklist race is how the villain appears to cheat which fits with his character. He’ll suddenly vanish from the map and appear in front of you or take a shortcut that you don’t have access to. He beat me once using these cheap tricks. It was cool though because I can’t think of a time a game has done that before and it just makes sense. He cheated the first time, why wouldn’t he do so now? The villain’s name was Razor I believe and while he’s definitely not even a good villain, I did like the voice. It oozed confidence from start to finish. 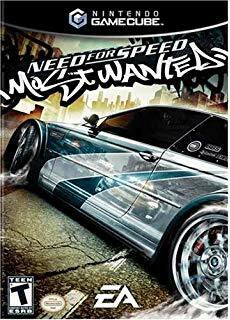 Overall, Need For Speed Most Wanted is definitely a great title. If you haven’t played a Need For Speed game then I’d say you should certainly start with this one. It’s got the huge hub world from Underground 2, but without the style point grinding. The story also takes more of a focus as you can choose to just do the story battles and go from there. The other games forced you to do a bunch of extra races. Next up is Carbon and I’m interested in seeing how that game is set up. It looks like it might be a bit shorter than these last few, but it’s still Need For Speed so we’ll see about that. It’s time to look at a more modern video game in the form of F1. I tried out this game a bit a very long time ago but I quickly fell behind the curve. I believe this is because of the gameplay and after playing it again I am more confident of this fact. It just doesn’t play like a racing game really should. The controls are way too stiff and without the core racing aspect of this title it just feels rather empty. So when you start the game you have to run to the training room. That’s because most of the other modes such as Tournament mode are locked until you get a lot of medals in training. The more medals you get, the more proficiency points you obtain. If you try to go for a perfect 100 you will certainly be here for a while. The good news though is that if you do this you will definitely have mastered the game since the training is incredibly thorough. It does do a good job of prepping you for the tournies but the irony is that by then you may not even see that point and you will put the game down. It’s like having to play a 5 hour tutorial before playing Sonic Racing. After 5 hours you’ll be burned out and ready to leave. Especially if the training is an accurate showing of what the gameplay will be like. In F1 if you touch the outside of the track at all then you take a hard loss and have to repeat the level. If you accidentally drive on the right side during a certain portion of the map then you will be taken to the pit where you will lose almost a minute of time and it will effectively be impossible to win the race. I also think the gimmick of having to stop in for repairs is going way too far in trying to be realistic. This game does cross the line into being a race car simulator which I was not a fan of. Simulators can be fun but they aren’t generally my cup of tea. I want to play a simplified version of the activity, not perform all of the steps. Another example of this mechanic is that as you drive through the stage your turning abilities will gradually get worse and worse until you can no longer pull off these maneuvers. This also makes it hard to learn the game because the gameplay won’t stay the same. If even that is constantly shifting then it’s yet another thing that you are going to have to worry about in the end. The game was too technical for its own good. The graphics aren’t bad at least. EA has always been consistent in that area and so I’m not particularly surprised. The levels pop out at you and when blasting through the course at 100 miles an hour you are reminded that sometimes you need to just embrace the speed and head for the goal. Unfortunately the soundtrack is far less impressive and you will forget it almost immediately after hearing it. This is the opposite of the graphics as EA rarely has a good soundtrack going. The only one that is typically solid is Madden’s and that’s only because it uses iconic themes from the outside world for the games. I could go for a good Madden game right now, but lets stay focused. There is a lot of replay value here technically since there is so much extra content. After doing all of the tutorials and beating the tournaments you’ll likely have spent over 10-20 hours in the game easily. The only question is really if you want to do that or if it’s time to take a step back. I do think you’ll be heavily burned out by this game very quickly but maybe I’m underestimating how many sport car fans there are. If you really like these extra mechanics to appear in the game then by all means you should try this game. Perhaps it will end up being your cup of tea. Overall, F1 2002 is definitely not a game that I would recommend. It simply isn’t particularly good as a racer and I just don’t need a car simulator at the moment. I can see why the game series died while others like FIFA, NBA, and Madden are still going. That’s definitely a sign that something went wrong here. It’s a shame because the game has potential. 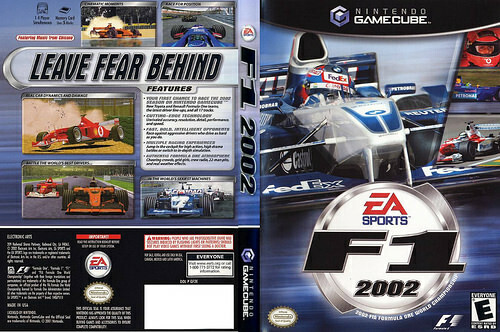 If you want a good race car game that is built similarly to this one just look at Speed for the Wii. That game tries to have a similar approach but you don’t lose the race for going off the track and there certainly isn’t a pit where you can perform repairs. To this day I will still go on record to say that Speed did the best job of illustrating how fast you can go. No other racing game has ever matched that or even come close to be honest. It’s just a fun feeling when you’re playing Speed so go check that one out. I’ve always been a big fan of Madden and it’s one of the only game series that can hold a candle to Super Smash Bros. No worries, Super Smash still is the greatest series of all time and it shall never be surpassed, but Madden would probably be my second favorite series. Madden 13 was phenomenal and while Madden 2004 is still my favorite, 13 was a close second. Unfortunately, Madden 2015 is not quite as good, but it’s still an excellent game and one that I can recommend to anyone without hesitation. There are more things to learn as the Madden games get more and more technical, but you’ll be glad that you entered this new world of fun. One thing to notice is the fact that I got Madden 2015 for the PS4. It’s much cheaper to do so, but since I don’t have PS+, it also means that I can’t spend my evenings pounding away at the opposing team against real players. That’s probably for the best though since it can be quite time consuming. Recently, Sony gave everyone free PS+ for the weekend so I took advantage of that to play a few online games. I did quite well and went 4-1 if I recall correctly. The exact number should be on my stats and records page if I made an error here. I guess my Madden 13 skills have helped me get used to this one rather quickly. Madden still has the issue that I mention for all of the newer titles and that’s the fact that it’s really hard to go for the deep ball. It’ll only work if your player has a massive lead over the defender because the usual gap isn’t enough. If the receiver got 2 steps on the cornerback, you can still be sure that the cornerback will spin around and pull off an incredible jump to snag the ball away. The problem is that the receivers never fight for the ball so it will get picked off every time. Slant routes are typically a little safer, but again, your receiver better have a nice lead. Otherwise, the defender will make a leaping interception. I’m not sure what the game can do about this, but I’m sure that the code can be tweaked for future installments to make the receiver good once again. Just play Madden 2004 for a moment and you’ll see what I mean. The good thing is that this does force you to consider the running game once again. In fact, I run in Madden 15 far more than I did for any of the other titles. It’s finally a very viable option here and maybe even a little overpowered. I played as the Cowboys for all of my matches and I could afford to run the same straight run over and over again. No matter how quickly the defenders would hit me, I’d have already grabbed 2-3 yards and typically that number was more like 7-8. Defenses simply could not stop Murray. It didn’t matter if I was playing CPUs or human opponents, my running attack was unstoppable! This also set up the play action pass and I uncorked it once for a nice, deep slant route. It was a blast to see this actually work since play action plays typically fail miserably in Madden because your offensive line cannot hold out that long. Another play that I love to run is a random Hail Mary towards the start of the game. A lot of times the defense will be completely unprepared to deal with that so you can get an easy completion. Make sure to have your running back run a swing route to the left to cover your options though. If even he is covered, then you’ll have enough room to easily scramble for a nice gain. It’s really the perfect passing play if you ask me. It should come as no surprise to you that the game’s graphics are top notch. EA spends a lot of cash to ensure that you are getting top of the line visuals during the game. It is definitely impressive to see how life like the field and the players are at this point. It’s not quite ready to pass Super Smash Bros for Wii U in terms of how awesome the game looks, but Madden is easily one of the leaders in the graphics field all the same. I can’t say much about the soundtrack because I’m just too into the game to notice such things at that point. The themes are typically fast, but you’ll barely notice as you start racking up the wins. Aside from playing games or entering into the Connected Career where you can play dozens of games in multiple seasons, there is also a drills mode. It’s basically a tutorial that walks you through many techniques. It’s actually a lot trickier than the average tutorial mode and I can guarantee that you will learn something. It’s worth playing through each section here to make you a better overall player. Another mode lets you relive great moments in NFL history as you try to make a great comeback or stop other teams from scoring. This mode’s nice and challenging as well. If you do have PS+, then that opens the door for you to play some online battles against the best of the best. Once you play against real life opponents online, it’s hard to go back. It’s just so fun and exhilarating! There’s also a MUT mode, which is where you can form a team of solid players from the present and the past to become the greatest of all time. You can enter leagues and it’s a blast, but keep in mind that you’ll probably be doomed at first as your quarterback may be Weeden while the opponent has Joe Montana or Troy Aikman. Eventually, you’ll be able to unlock those guys or you can just buy them, but I don’t recommend buying the DLC unless you’re seriously going to be playing the game for a long while. The actual gameplay has been made to be very realistic and it works well for the game. My one problem is that it can be hard to change directions. I suppose that you can’t go 0-60 when turning in real life, but it’s always sad to watch your player to a little stutter step as they try to turn and then you get nailed. It cost me a safety in the game that I lost, which was most unfortunate. Still, it’s a fairly small complaint and you’ll just have a blast playing the games over and over again because the gameplay is simply that fun. Madden continues to add more and more commentary as well as the occasional ad slogan to also make the game super realistic. There’s even a ticker showing the NFL game scores in real life that are completely updated. That’s very impressive. I usually skip the intro to the games because I don’t have time, but it is neat that the game will actually focus on the players and start to have a serious discussion as a pre game simulation. I feel like EA puts a lot of effort into these games even with a lot of complaints which would disagree with my statement. Overall, Madden 2015 is a terrific game and it continues to hold the Madden legacy up in a positive light. It may be similar to older titles, but that will not change and I wouldn’t want it too. I’m very comfortable with Madden and I wouldn’t want there to be any drastic gameplay overhauls or anything of the sort. It just wouldn’t feel right if you ask me. If you haven’t played a Madden game before, don’t worry. It’s tough, but it won’t take an extremely long amount of time to get good. A lot of the game is just about outsmarting your opponent so you always want to think outside the box. I aim to get Madden 16 in about a year or so when it inevitably drops to around 10 dollars, then it’ll be time to snag it! The game has quite a few modes. Naturally, we have the classic Play Now title, but there are also other modes like Ultimate Team and Skill Trainer. Skill Trainer is sort of like the Minicamp Mode from Madden 2004 and I thought that it was nice to see it brought back. The drills can be a little difficult to complete as you have to do the correct action 9 times out of 10 in order to get the gold trophy. I got all of the Golds for passing, defending and Pre Plays but I didn’t go and complete the rushing ones yet. Perhaps at some time, but I’m not aiming on getting the Platinum so it could be a while. They are also decently difficult as rushing is the trickiest to complete for some reason. Speaking of which, that gets into my one big negative for Madden 25. It’s more of a negative for the PS4 than the game though since this appears to be the case for just about every online title. You can’t actually use the online battle services unless you buy PS+. A lot of the fun that I had in Madden 13 was when I was fighting other players online. The fact that I cannot do so now without buying the subscription is pretty sad. I don’t plan on getting PS+ anytime soon so the game will have to lose some replay value there. It also means that the Platinum is unattainable, which is unfortunate. Ah well, beyond that, the game is rock solid as you would expect. The graphics look stunning and EA has always done a great job of making sure that their games were ahead of the curve. Of course, it also helps that I’m finally experiencing what the power of the PS4 can really do. There are few games that look quite as good as Madden and you can just stand back and appreciate the textures and backgrounds as the announcers start to set up the game. Otherwise, it can be a little bit of a hindrance because you can’t skip the opening for a few seconds, but what’s a few lost seconds here and there right? I still appreciate the huge amounts of effort that they put into the game. I can’t really comment on the soundtrack as it was strangely absent a lot of the time. Either that or it was simply too subtle to notice. That’s a decently good thing as older Maddens typically had a pretty underwhelming array of themes. All you need is the main theme for when the match is about to start as that one is always great. Beyond that, I wouldn’t mind if there wasn’t any music here as it’s not really needed during the gameplay. The theme for the main menu is quite catchy so that’s better than nothing. As always, there is a lot of replay value to be found here even if you can’t get the Platinum. You can go through the Connected Career mode to battle through various seasons. Honestly, just that mode alone can give you enough things to do for 50-100 hours. Skills Trainer will buy you a little more time and then you can try collecting as many trophies as possible. Trust me, Madden has never been lacking in content and that doesn’t change with this title. The no online hurts, but it’s certainly not a game changer. I haven’t really talked about the core gameplay. If you are familiar with the NFL rules then you should be okay. If not, the basic goal of the game is to score points and stop the other team from scoring. The actual controls are fairly simple to use, but tough to master, which has always been a good mix. Running the ball can be great if the opponent is not expecting it, but you typically won’t go far. Like the real NFL, passing the ball is where all the action is and you have to be very careful about what throws you decide to go for. The defense is incredibly skilled and they will always beat your receiver to the ball if it is between them so you should almost never go for deep balls. Once you are really experienced at the game, then it’s all right to try these throws since you can take control of the receiver and beat out the defender yourself. It’s incredibly satisfying, but also difficult to pull off. Madden 25 also constantly updates so the stories that play on the bottom of the screen are similar to the ones on the NFL’s official site. It’s cool to see how current the title is and it even updates the roster for you. Seriously, Madden 25 seems to have thought of everything and there are even Papa John ads throughout the game where the announcers will talk about how good it is. That was pretty neat and it’s not distracting from the actual gameplay so it’s a fun addition. The commentary may be a little limited, but it’s still a great feature during gameplay and it’s fun to hear them talk about what you’re doing on the field. It would be essentially impossible to make it perfect so I’m also satisfied with this. Madden simply feels like a next gen title. Unfortunately, the game maybe starts to cross the line of being too realistic as turning while running with the ball can be a bit of a hassle now. For example, in an older Madden, you would turn and your player would crisply just keep running in a diagonal direction. Now, he has to actually turn to make the cut, which will briefly make the player stutter and that makes turning a little less effective. This change isn’t terrible and there are many new features to help compensate for this as you can use super stiff arms and other techniques, but the open field running was better in older titles. Once you learn all the tricks of the trade, you’ll be ready to do great things, but I can’t imagine that you will be running the ball very often. If you want to know a good pass play that essentially works in every single Madden game, I highly recommend screen passes to your running back. It’s almost 100% guaranteed on 1st and 10 or 2nd and 10. The only times where it is dangerous to use it is in a short situation like 3rd and 1 as the cornerbacks will be a little too close for comfort. Alternately, you can use screens to your wide receiver occasionally to keep the opponent off balance. It’s not flashy and you will be fighting for each yard, but it works quite well. Slants are your next best option, but you have to be watching carefully before you release the ball. Overall, Madden 25 is a very fun game. The no online is regrettable, but older Madden titles didn’t have this feature and I still enjoyed them a lot so this game is safe. The graphics are great and the soundtrack has noticeably improved since the themes are typically instrumental now, which works better with the game. Skills Trainer is fairly difficult, but it’s also a lot of fun and not much of a grind although I would expect some of the trials to take several efforts to complete. There’s a lot to do in this game so it’s well worth the initial 60 although the new price of 13-15 makes it even better. It’s not quite as good as Madden 2004 or Madden 13, but it gives 12 and 11 a good run for their money. 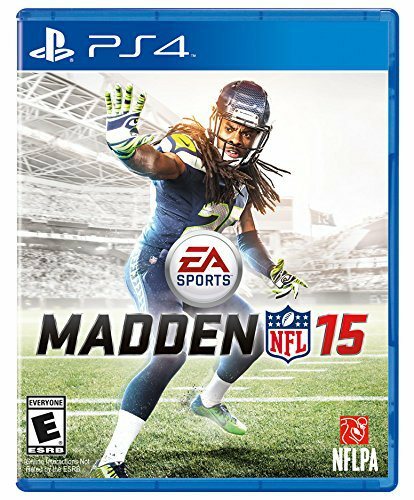 Now that we are getting close to Football season, this is a good game to buy to get you in the mood and then you can trade up to Madden 15 once 16 comes out. This is the first college Football game that I’ve really gotten to play extensively. I own quite a few of the other titles, but I have so many sport games that I typically just play them for a game or two and then move on to the next one. That’s why I love the trophy system on the PS3. It gives me a good reason to keep on playing long past the point where I would have stropped otherwise. The gameplay style may take a teeny bit of adjustment at first if you’re used to Madden, but it’s still EA so the control scheme is similar. It’s a pretty great and while I’ll always prefer Madden, I’ll always be up for a game here! The gameplay style is a little faster than the average Madden game. You can pick what kind of offensive style you want before hand and then it’s off to the races. That’s actually a very cool gimmick to have and I got to test a few of the offensive formations out. I don’t remember all of the names, but I do like the Spread Offense and the Air Raid team is the best. In case you didn’t guess…I’m a pretty big passing fan. The problem with running the ball is that there’s more chance involved then when you’re passing it. For the most part, you can tell if you just threw a possible TD or a pick six right after you throw it. I haven’t tackled the strongest A.I. level yet so I can’t comment on how difficult it is, but based on the previous levels it’s sure to be a nice challenge! Running the ball with your QB is easier in this game than usual and that’s a good thing since I love to do that. It’s good that it’s not too easy of course, but it’s a really effective way to move the ball when your receivers are covered. It can be tough to know when to look to run and when to pass, but the challenge of finding a nice mix is what makes this move so deadly! I’ve gotten quite a few trophies so far although I’m probably not going to end up Platinuming this title. I won’t rule it out, but a few of the Dynasty/Career trophies seem like they would be a little too much work. I applaud EA for resisting the urge to add online trophies to the game so that the Platinum trophy is still a possibility. It was a pretty good move on their part and it’s one that I shall not forget very soon. The game has your usual modes like Play Now that Madden has and there’s also it’s equivalent to Franchise Mode in Dynasty. There’s also a Road to Glory mode where you start out in Highschool and it looked interesting so I decided to go for it. It’s only four games long and it was pretty fun. The gameplay will certainly get you into the action very quickly and I still like the new style where you can pick a player to progress as you go through the career and then you just play when he’s on the field. That being said, it’s a nice thing to give yourself a change of pace, but I still like to be in control for every facet of the game. You won’t catch me missing the point after attempts quite as much as the CPU and their defense tends to crumble when the going gets tough. This game has a ton of replay value since it’s Football and there are always more games to play. It’s tough for any title to even dream of matching it in replay value and the only other game that can give it an even fight is probably Super Smash Bros. The graphics are pretty good. I’ve always thought that EA’s games looked very good and they definitely spend more time perfecting the graphics than the average game. It can be seen as excessive or underwhelming depending on the player, but it just looks great for me. The plays are always clear and you can see who’s open and who isn’t with a single glance. If I had to list a negative for the game, it may be the soundtrack. At times, trumpets will sound and all of the music will instantly be obliterated. That’s not a bad thing per say, but the game can be more fun at times with a nice background theme. If the game is going to be silent then I think that cutting out the trumpets would help. It just doesn’t work with the style of gameplay. To counter this, NCAA has an exclusive feature where you get to run to the mascot for a celebration after each scoring play. That’s pretty cool and it’s a nice way to motivate your opponent as well. 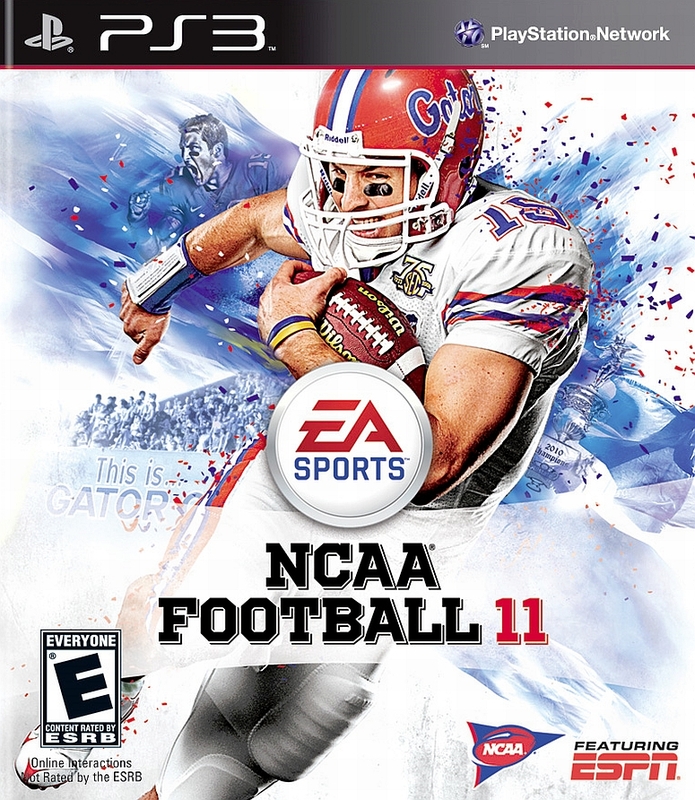 This may have been the first NCAA game that I got to play a lot, but that won’t be the case for very long. I am planning to dig out the previous year’s game shortly to gather some trophies and then I’ll be sure to review that one as well. I expect it to be pretty good as well, but this one will likely stay on top. Where do I go from here? Well, I’m planning on tackling the full season soon so this game won’t be biting the dust just yet! Overall, NCAA Football is a pretty great title to play and it’s one of those games that will continue to be fun long after you’ve played your 100th game. It’s just hard not to get excited while playing it and especially when the score gets tight. You just need to remember your training and you’ll be fine. The servers are down, which unfortunately halts online play, but it’s a game that is actually still a lot of fun to play with computers. If the price is right, you may still want to buy the latest version, but if not…2011 is the way to go! It’s definitely been a while since I got to play a new Madden game. In case you are not aware, I am a huge fan of the Madden franchise. I’ve played almost every one of the titles since 2002 and they were all rock solid. I’ll admit that Madden 2010 may have slipped a little, but it was still a blast. 2011 and 2012 were also enjoyable experiences so I was all set to grab this one. I didn’t realize that it had already dropped to 6 dollars so it was a steal! Madden 2015 just came out so I’m sure that this game’s online days are numbered. That being said, I’m really glad that I finally got to try the online experience because it is amazing! 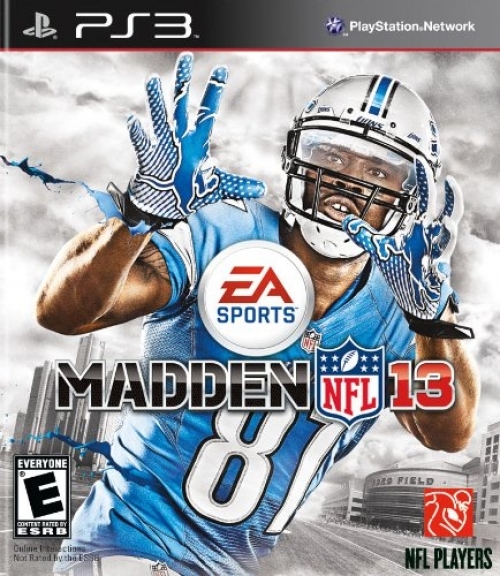 This is easily the best Madden title for the PS3! I also know that I need to make this one last because I likely won’t be getting one of the newer Madden games anytime soon! 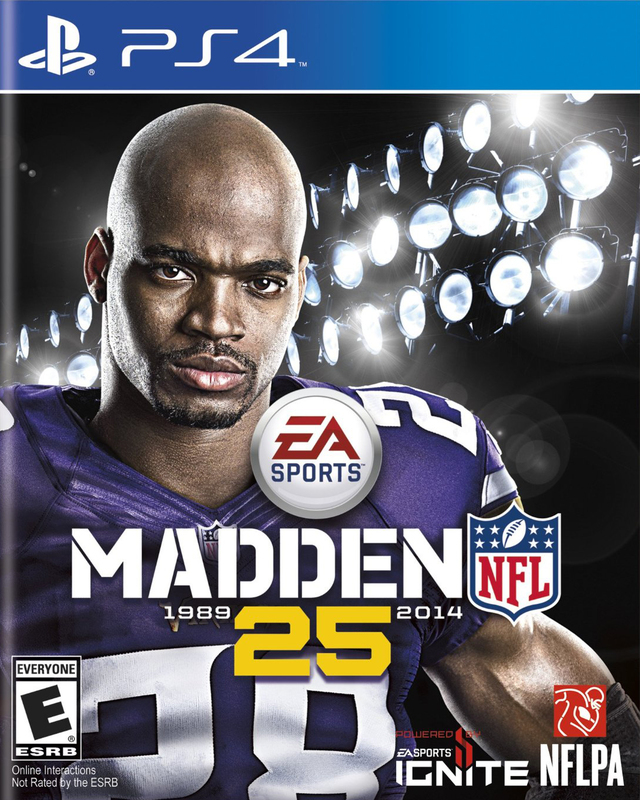 There is no Madden 2014 because they decided to come out with the special Madden 25 package. I’m looking forward to playing it, but it’s still going for 25! I love these games, but I always wait for the price drops since they’re so frequent. I wouldn’t expect to see another Madden review on this site for even a year, but maybe I’ll surprise you guys and get one of the few titles that I missed for Christmas! Back to the game! Madden 2013 uses a lot of elements from the past games while changing things up. I know that everyone has already heard the stories and some are still upset that EA refuses to change the formula with any drastic measures. There’s no need to change a system that is already great and EA still does provide a unique experience each time. In this game, the defense is probably the most notable change, but the whole game is really impacted. Is it in a good way? It depends on the effect. I won’t really explain the rules because I’m sure that you are familiar with the NFL. If not, it’s an easy game to figure out. One of the ways that Madden seems to have changed is how fiercely the cornerbacks will go after the ball. It is essentially impossible to throw a deep ball anymore. You can still do it of course, but you’ll be forced to watch your receiver get shoved out of the way as the cornerback snags it for a pick 6. Sometimes, your receiver will just stand there and wait for the football while the cornerback jumps up for the steal. They can jump extremely high by the way and they aren’t opposed to catching the ball with one hand in a rather fancy athletic movement. One way to stop this is to quickly take control of your receiver and turn around to grab the ball. Of course, this is a Lot trickier than it sounds and it requires perfect precision on your part. More often than not, this won’t work. Once in a while, your player will actually catch the ball, but you’ll have already thrown a lot of interceptions by that point. It’s great for the defense and I’ve always enjoyed getting an interception. It’s pretty thrilling and it’s one of my favorite plays along with kickoff/punt returns. On the flipside, it makes you hesitate to throw the football. You’ll find yourself relying on basic screen passes and other short throws because you can’t risk going downfield. Throwing it into the centerfield for your tight end is usually a decently safe throw, but I miss the days where I felt comfortable throwing to any part of the field. You can definitely forget about slants unless your receiver is in a great position. So, this is definitely a mixed bag. One area where the game really excels at is how realistic the hits are. It’s great to see your player get tackled or to record a sack on your own. You really feel the hit and it’s usually interesting to see how your player will go down. Sometimes the game will even revert to slow motion although that could just be the frame rate hitting the ball. This is more like the Football that we’re used too! The graphics for the game are always pretty solid and that doesn’t change in this installment. You can clearly see all of the players and every option available on the field. You’ll never find yourself squinting to see something and the field looks as real as ever. I definitely have no complaints with the game on this front and the commentary is also good. There are some obvious mistakes like when they say that there are 15 minutes left when only 6 are on the clock. Some of the lines can get a little old when you hear them so often, but I actually enjoy it. It really makes the game feel professional and it means that I won’t have to listen to any (awful imo) music like in some of the other titles. Remember NFL Street? Great game, but the music was pretty terrible. I’m not a fan of EA’s music so the commentary means that the music has to go away. I don’t think it plays at all during the games anymore and that’s fine by me! The game does have one annoying cutscene that plays after every timeout. If you call a timeout, your opponent’s player will meet up with one of the staff for a drink of water. The trainer will get him the water and the player always stops the guy from leaving so that he can get a second drink. This happens every single time and it gets old rather quickly. The character models are constantly chewing as well although I believe that it’s supposed to depict them talking to each other. Trust me, you’ll wish that it wasn’t there after a while! If this game had one big weakness, it would be how they’ve made every action a lot more complicated. Gone are the days where you only needed to worry about running and where to throw the ball. Now there are so many buttons to press! You have to remember to hit a button so that you don’t fumble, there’s a button to sprint as per usual, but you can also tilt one of the joysticks to bring your head down and charge. There are like three different ways to juke and you really need the hit stick on the defensive side or the opponent will just break your tackles. I don’t think the game really needs to be this complex. It wouldn’t be so bad either if your player wouldn’t fumble all the time. Never run right into the opponent player without pressing something or you’re almost guaranteed to fumble. So much for my wild charges into the crowd eh? Franchise mode is long gone and now we have the Connected Careers mode. It’s essentially the same thing so it’s all good. You can play as the Coach or as the players. I only use the latter of course and you can even add yourself to the game through Gameface. The EA account is actually pretty handy since it really does a good job of recording your online stats. The online ranked battles are really where the action is at. It’s almost hard to go back to the classic offline battles when you can fight such talented players online. (Almost is the key word! Regular matches are still a blast.) My current record is 5-4 as of this writing and I already scored over 150 points, which netted me the first few online trophies. The highest one is at 600 points and that is likely where I would stop online gaming for this title. It’s a blast, but I have so many other games where I need to accomplish that I wouldn’t have time for it anymore. The offline world is another story since there are more trophies to get there. The trophies are pretty fair for the most part, but I think that EA is asking too much for the offline ones. You would basically have to play over 10-20 seasons if you wanted to snag them all unless they expect you to start simulating all of them. There are many workarounds to grab a lot of the trophies, but adjusting sliders and such, but that doesn’t seem right. Thus, I am doomed to have a relatively low trophy% in this title, but I’ll still do my best to snag as many of them as I can. At least there are more trophies to be collected in this one than in the previous Madden titles! I almost don’t even need to bring up the replay value. The trophies alone can last for weeks or even months. This Madden also has quite a few different modes to play. You can relive famous moments in NFL history and try to complete each of them. The Connected Careers mode can go on for as many seasons as you want and you can play it from the coach’s point of view or from the player’s. The replay value to this game is essentially endless and the servers are actually still up so you can have fun online or offline. The game is really a bargain at 6 dollars and it would have been well worth the original 60 dollars if I had bought it then too. It just goes against my buying code to do that. I only go that far for Smash Bros at this point in time. Finally, it’s worth noting that EA has done a good job to really make the games feel alive. On the main menu, you can actually see the scores for the current NFL 2014 Pre Season games. Not to mention that there are Facebook and Twitter options inside of the game so that you can post your scores and stats throughout the season. Everything is completely up to date, which is pretty fun. You won’t lose touch with the real world by playing this game and their Origin system helps you to link your account through all of their titles. EA may have a very bad reputation with the average person at the moment, but one can’t deny that their games are great! Overall, This is an excellent Madden game. As mentioned earlier, I would say that it easily clobbers Madden 08-12. It’s tough to take on the Gamecube ones, but this is easily one of the best installments. I do believe that the game has gotten a little too complicated in some areas, but you can still choose to simplify things based on your playstyle. I got used to it after a game or two and the only troubles that I’m having now are with the audibles. It’s hardly something that will really cost you a game since audibles are pretty rare. I highly recommend getting this game and you’ll have fun for dozens of hours. Madden is one of the only games that can compete with the new Super Smash Bros for how much time you can pour into it! 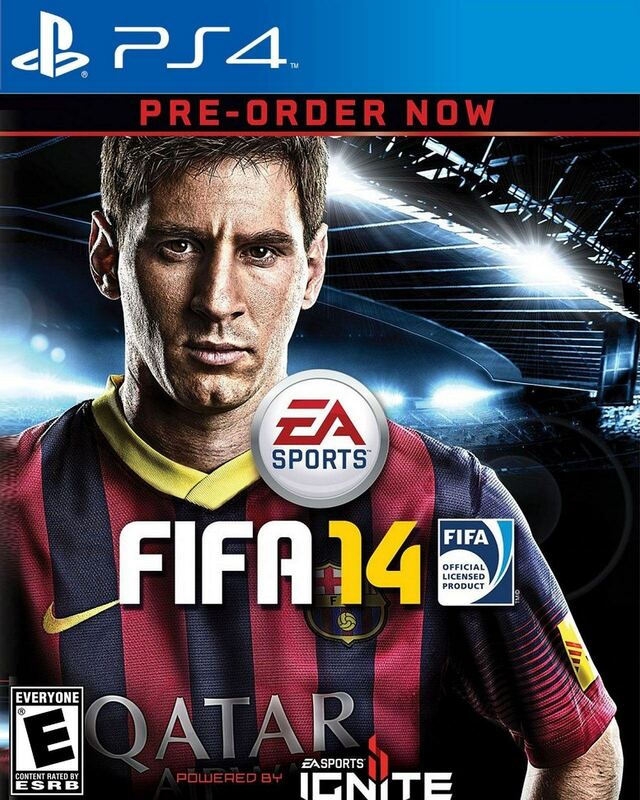 It’s going to be tough for Madden 25 or the new Madden 15 to keep up with this one!